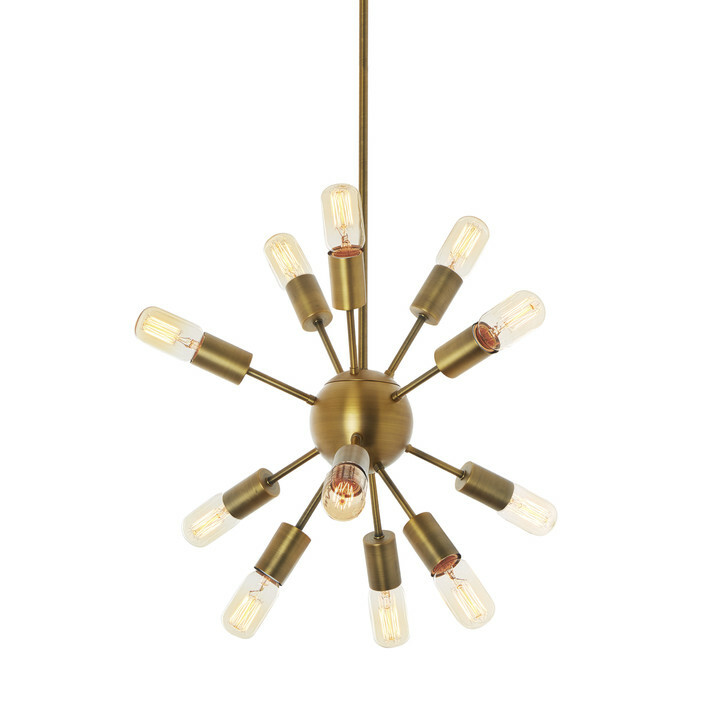 There are only 24 available of the 10-Light Cluster Chandelier. Your selected quantity has been adjusted. 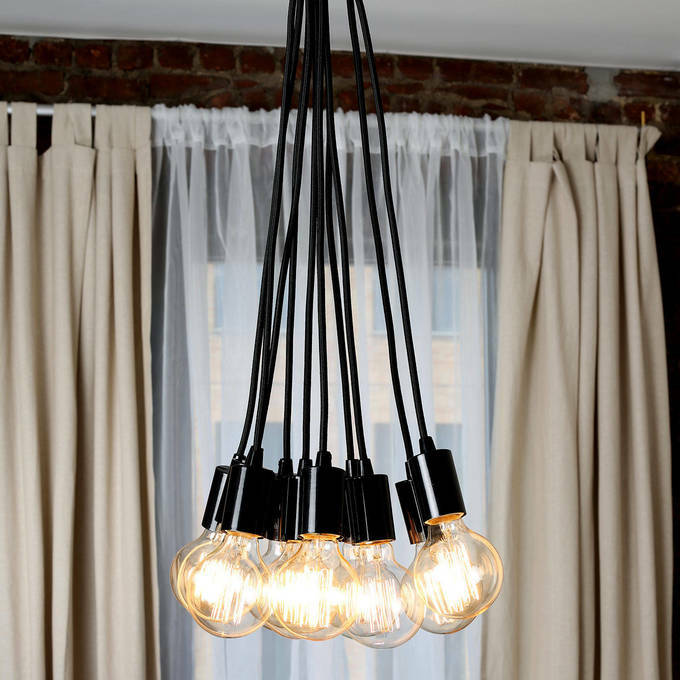 Featured with our vintage LED bulb, exclusively from Brooklyn Bulb Co., this fixture features an eclectically molded rubber casing that gives way to ten black textile cords and sleek 2" metal sockets. 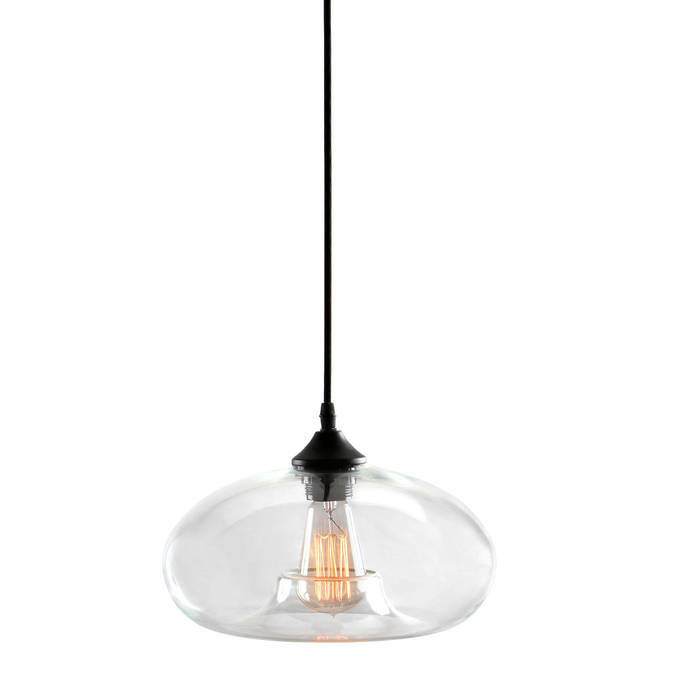 A perfect compliment to a living room or dining room, this fixture also fits seamlessly in larger commercial spaces. 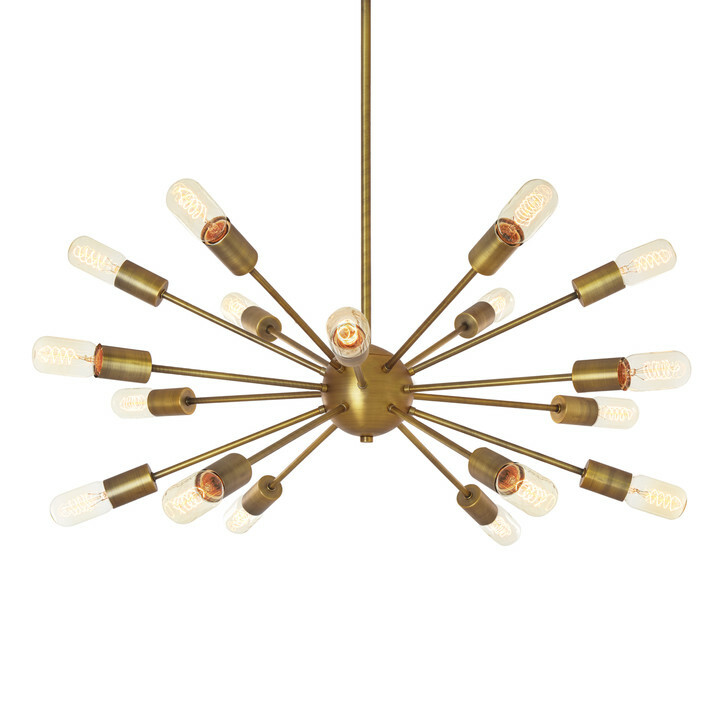 Pair this fixture with your favorite set of bulbs or choose from our selection of vintage and decorative bulbs. Are lightbulbs included? If not which Edison style bulbs will Work? And how many? 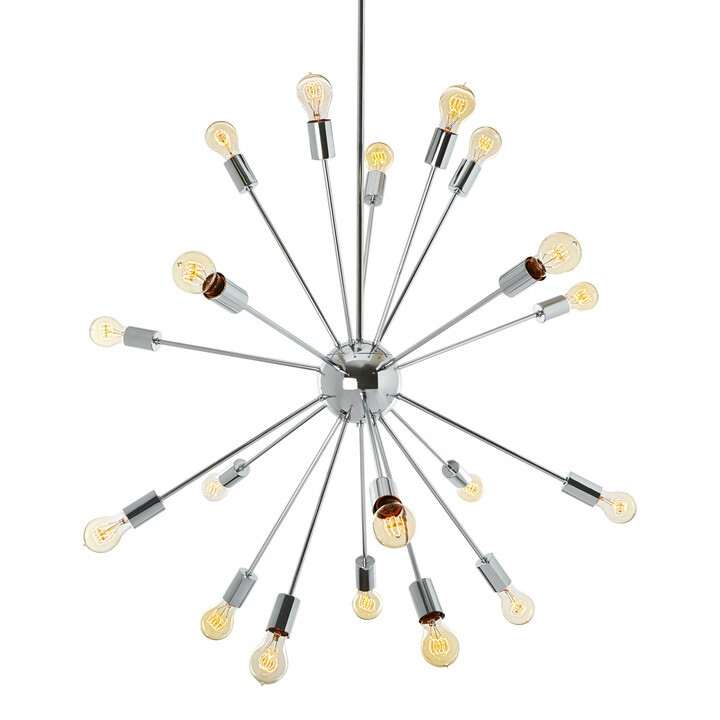 The bulbs are not included and any bulb with an E26 base would do. 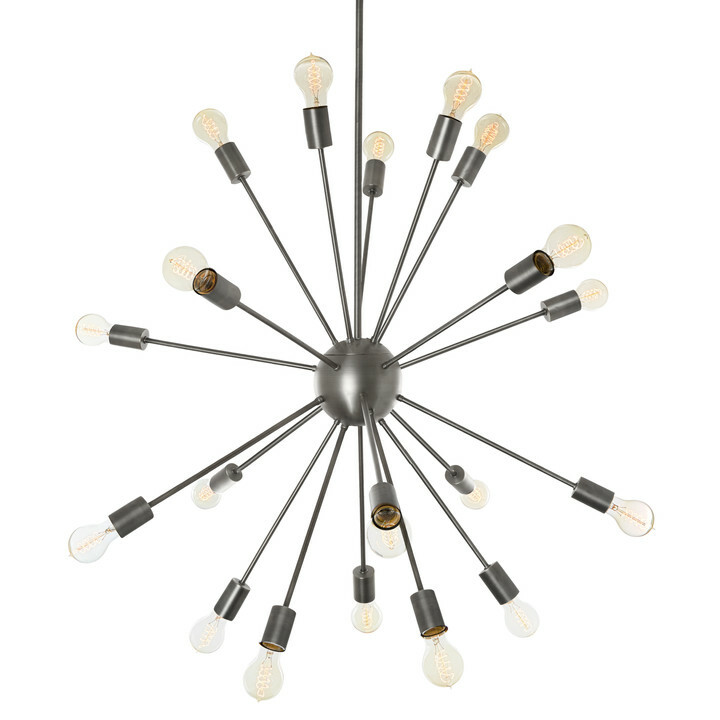 How long is each of the 10 wires from the center? Each of these wires is 22\"